The McArthurGlen Designer Outlet in Roermond, open all year round, sells a fantastic number of designer and lifestyle brands, up to 70% cheaper than the manufacturer's recommended retail price. You even get an extra special discount with DriveNow! 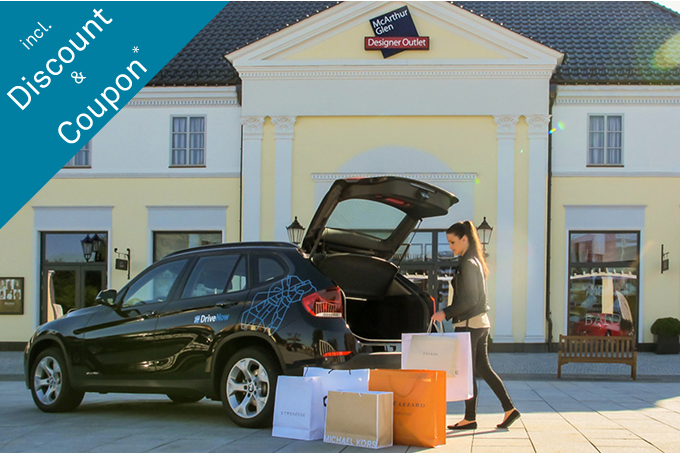 5 free DriveNow parking spaces in front of the Guest Service Center, which is located at the same level as the Polo Ralph Lauren Store. ** Driving in the Netherlands from Germany is only allowed with this Experience Package.